Spring has finally arrived and for many Canadians, the arrival of spring is synonymous with bike season. 2017 marks Canada's 150th anniversary birthday celebrations! Each year we like to reflect on the previous season, recognizing those rides that have innovated, inspired and motivated cyclists, supported worthy causes and contributed to the phenomenal growth of the Canadian and North American Gran Fondo scene. RBC GranFondo Whistler is the bucket list experience for every cyclist. This spectacular point-to-point ride takes you from Stanley Park in downtown Vancouver all the way to Whistler in your own dedicated lane on the scenic Sea-to-Sky highway with beautiful coastal mountain views. You even get to experience riding over Lions Gate Bridge car-free! The ride is a whole weekend of festivities, including the VeloSpoke Expo on Friday September 8th at the Vancouver Convention Centre. The finish line at Whistler is truly a celebration party with BBQ and beer garden for all cyclists and an evening concert, which last year headlined Steven Page. In 2016 the RBC GranFondo Whistler was officially the largest Gran Fondo in North America with the greatest number of cyclists crossing the iconic Whistler finish line. The event has established itself as the premier cycling event in Canada and North America. The categories for the event include the Forte (152km) which starts with an epic mountain climb up Cypress Mountain, the GranFondo (122km) and the Medio (TBA). The Giro category, sponsored by Robert J Macdonald, has a $50,000 CAD prize purse that is split equally between male and female winners. The race provides competitive licensed category 1, 2, 3 riders an exciting opportunity to race the 122 km distance for a top place purse of $15,000 CAD. Register now and save! Price goes up April 18 at noon PST! The PwC Epic Tour Halton, located in the Greater Toronto area, is one of Canada's most popular mass participation rides. Last year nearly 4,000 participants from all over Canada, the USA and beyond took part. 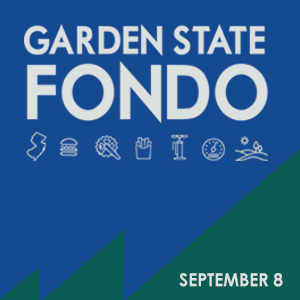 Gran Fondo Guide has rated the GTA Gran Fondo as one the most popular events online in North America, due to the huge trends it set across social media platforms, last autumn. One of the keys to its popularity is the events' ability to cater to riders of all ages and fitness levels, with distances of 50, 80, 100, 125, 150 and the new ultra 170 km distance for 2017. PwC Epic Tour Halton is a one-day fully supported cycling event that leads cyclists over some of the most spectacular roads the Greater Toronto area has to offer. Rolling country roads, dense forests and the Niagara Escarpment set stage for an epic day on the bike that you won’t soon forget. Like a marathon, PwC Epic Tour is about setting a personal goal, preparing yourself to achieve it and then going to it on event day – inspired by the spirit and energy of hundreds of people all around you. The measure of your day won’t be winning or losing, it will be challenging yourself to rise beyond the ordinary and do something extraordinary – and share the experience with those closest to you. The PwC Epic Tour is a lifestyle event that promises a great day on the bike as well as a great post ride off-the-bike experience. The Finish Line Festival features live music, 50 exhibitors, complimentary rider food and a free Steam Whistle beer! Epic Tour is committed to supporting the community's that host its routes. Halton Healthcare is the official charity partner of PwC and since 2013, it has helped raise over $500,000. This formula has made it one of Canada‘s largest GranFondo and most popular Gran Fondo's, as rated by Gran Fondo Guide for 3 years running. Register for the 2017 PwC Epic Tour and see why it's one of the highest rated events in the country. The Gran Fondo Garneau-Québecor is an annual 118 km bike ride between Trois-Rivières and St-Augustin-de-Desmaures, now in its 9th year of existence. The goal of the event is to promote physical activity and a healthy lifestyle while raising funds for the Little Brothers Foundation. 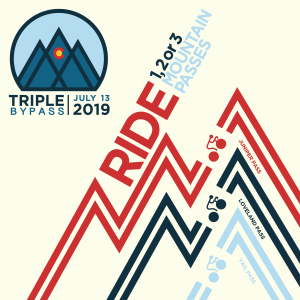 The event is intended both for cycling enthusiasts and experienced athletes. Around 3,000 riders are expected to take part in 2017. The 9th edition will take place on Sunday, August 13, 2017. Riders will leave the Alphonse-Desjardins Sports Center in Trois-Rivières at 9:00 am to arrive at the Louis Garneau Sports factory finish line in St-Augustin-de-Desmaures in the afternoon. Several groups will be formed according to cyclists’ average riding speeds. For 2017, the organization is offering a new 22-kilometer course, the Mini Fondo, around St-Augustin-de-Desmaures. They will then take a break before heading back to the Louis Garneau Sports factory via St-Augustin-de-Desmaures’ 3e Rang. They will be back just in time to enjoy a good meal and watch the Gran Fondo riders cross the finish line. Since its creation in 2009 by Louis Garneau, the Gran Fondo has been very much involved in the community to support the Little Brothers organization. In seven years, over $470,000 have been donated to the Foundation. Now with more pelotons, smaller groups, and more choice of riding speeds! Now in its fifth year, the Gran Fondo Mont-Tremblant has become one of Canada’s most popular “big rides,” with 2,000 cyclists taking part each year. The GFMT has grown to become a popular gathering for cyclists of all calibres who share a passion for riding and enjoy the festive atmosphere of this weekend event. Several ingredients account for this success. Not least among them is the superior logistical organization of the event, followed closely by the compelling scenic beauty of the region and the charm of Mont-Tremblant Village. The roads, the targets of significant investment, are ideal for cycling and the hilly landscapes of the Laurentians make for a wonderful challenge. Spring is in the air, and for this first cycling event of the season, the riders are raring to go. The Gran Fondo Mont-Tremblant is open to all riders looking to participate for fun or fitness and to tackle a personal challenge in a safe environment while enjoying beautiful scenery. Cycling enthusiasts can discover the panoramic Mont-Tremblant region in personal challenges of 160 km, 125 km, 80 km or 45 km (100-77-50-27 miles). Participants are divided into different groups according to their riding experience and average ride speed. The 160 km is clearly the endurance challenge, while the 125 km peloton will suit the fastest cyclists and the more experienced. All other pelotons will ride at an established speed that is satisfactory to their participants so that experience is friendly, safe and suitable for a group ride. Along with the rides, the weekend program includes many activities, including an exhibition village, cocktail reception, and live music, all of which help create a party atmosphere. Participants also enjoy the official lunch, provided courtesy of Plaisirs Gastronomiques. The Devinci Sunset Ride on Friday night, exclusive and free to participants, is led by Francois Parisien, Maxime and Chaly Vivès and Sébastien Delorme; it attracts more than 200 participants. Rave Reviews For The Gran Fondo Mont-Tremblant! When it comes to road or mountain biking, the Mont-Tremblant region should top your list of places to visit. Renowned as a major destination for recreational cycling in the summer months, Mont-Tremblant offers more than 20 road cycling circuits and more than 31 miles of mountain bike trails. The surrounding area also features hiking, kayaking and golfing, making it an idyllic location for athletes and the fitness-minded, their families and friends. The village and its surrounding communities offer a walkable, easily navigable setting for all your recreational needs. Where ski resort charm meets French-Canadian culture, Tremblant Resort is an internationally renowned resort nestled in the Laurentian mountains of Quebec, Canada, just north of Montreal. Mont-Tremblant hosts other top sporting events throughout the year, including the IRONMAN Mont-Tremblant, coming up this August. Both IRONMAN 70.3 and IRONMAN Mont-Tremblant were named by the Canadian Sport Tourism Alliance as the “International Sporting Events of the Year” in 2013 in recognition of exceptional sport tourism initiatives. This year’s event will start on Saturday morning, May 27, 2017. As always, it promises to be a fun-filled and exciting weekend for cycling fanatics! In it's seventh edition, Ryder Hesjedal’s Tour de Victoria is a fully supported mass-participation cycling event in beautiful Victoria, British Columbia. Come and experience the world-class cycling routes and breath-taking scenery Victoria has to offer. Riders of all fitness levels can take part in the ride and choose to cycle one of three distances. The 140km Harbour Air Epic for the experienced cyclist, the 90 km Trek Store Victoria Legend for the cycling enthusiast, and the 45km Christie Phoenix Challenge for the entry-level cyclist. There’s also the Ryder's Kids Ride - For kids of all ages and abilities (500m - 3km). Riders can expect a fully traffic controlled course, with a vehicle free lane for the duration of the ride. The ride features as backroad riding as possible, winding along the coastline and climbing into the rain forested hills surrounding Victoria. In support of youth cycling development, we are pleased to offer fully subsidized registration for all riders age 18 & under for all distances. Ryder Hesjedal’s Tour de Victoria is produced by the Ryder’s Cycling Society of Canada, a non-profit organization dedicated to promoting and supporting cycling across the country. Around 2,500 cyclists are expected to take part in Ryder Hesjedal’s Tour de Victoria in 2017. The 7th annual Prospera Granfondo Axel Merckx Okanagan in Penticton, British Columbia is a mass cycling event that ranks as one of the best in North America. The scenic route takes cyclists along parts of Lake Okanagan, Skaha Lake and alongside some of Canada’s most beautiful vineyards. Last year nearly 2,600 cyclists of all abilities and ages joined former professional cyclist, Axel Merckx, and friends to take on the challenge of riding either the Cortofondo (55 km), Mediofondo (92 km), Velocefondo (126 km) and Granfondo (160 km). All categories feature premier on-course support and stunning scenery. The 2017 Prospera Granfondo Axel Merckx Okanagan also features a fun team event in the Granfondo category. The rules are simple: the 5th rider across the finish line counts as the “team time”. So, the team that works together, wins together for bragging rights and terrific prizes. Canuck Place Children’s Hospice is British Columbia’s paediatric palliative care provider. Last year, PGAMO riders raised over $6,000 to support paediatric palliative care in the province. This year, Mouvement Desjardins presents the Sixth Edition of GranFondo Ottawa Reggio Capitale'. Be a part of Canada's 150th Celebration and ride along the historic, quiet and scenic rural roads which helped shape the Ottawa Valley, with thousands of other cyclists at Ottawa's Premier Cycling Event. Experience the beautiful rural areas West of Ottawa through many historic townships along beautiful quiet rolling roads, with River views, enjoying a well-supported annual cycling Festa. Gran Fondo Ottawa will help you train with nutritional tips and host weekday and weekend rides up to the day of the Fondo. 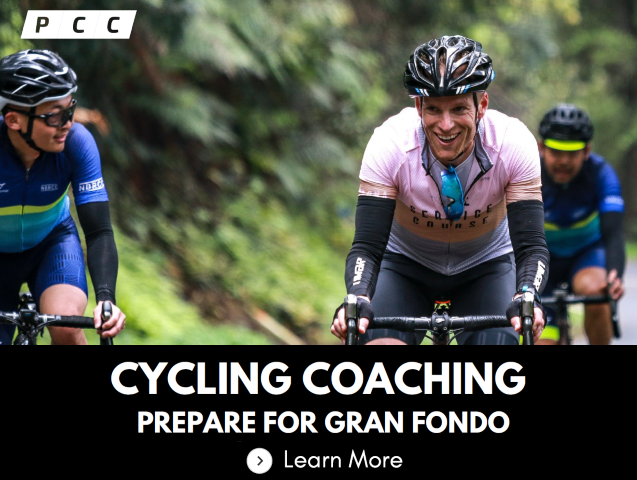 All registered riders can make use of a 12 Week Fondo Fit Training Plan for your best GranFondo ever! Due to its growing popularity, the Gran Fondo Ottawa offers five well supported routes of 65, 100, 150, 180 and 235 kilometres for all abilities of cyclists and features no less than 12 feed stations which includes Clif Bar, Evolv and Xact nutrition to keep you fuelled up. The Gran Fondo Ottawa is superbly organised so riders can focus on enjoying the ride. All intersections within the City limits are OPS controlled and rides supported by Mobi Velo and 30 Ride Ambassadors allowing you to concentrate on enjoying the ride. 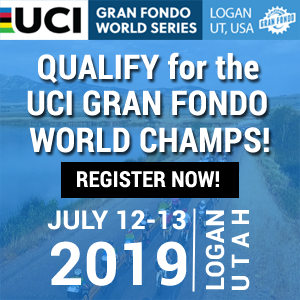 It offers Chip Timing to log your finish results and four Ride with GPS TT Segments to contest the QOM/KOM Champions and $5,000 worth of prizes on offer! After the pedalling is complete, you can celebrate with friends and family at GFO's post ride BBQ & FondoFesta, which offers artisan Italian sausage and pasta salad along with local craft beer from Clock Tower. 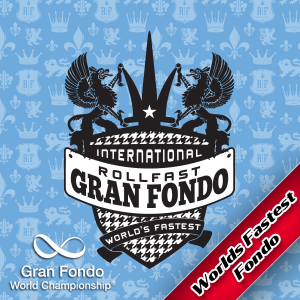 GranFondo Ottawa was also rated a top 10 cycling event by Canadian Cycling Magazine. Stomp the pedals, feel the power, think big-ride, GranFondo! The picturesque Blue Mountain Resort, a 90-minute drive from Toronto, along the shores of Georgian Bay, with its European-style village is home to the Subaru Centurion Canada. Riders will enjoy the scenery and the challenge that the incredible courses provide. They feature a series of relentless rollers, the courses begin at the base of the legendary Niagara Escarpment with sharp and steep elevations that serve as a prime challenge to test all riders. 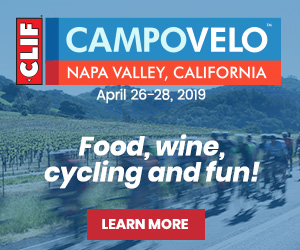 The seventh edition continues to provide the popular events including a Time Trial and Community Ride on the Friday, the C50 and C100 on the Saturday and the C25 on the Sunday. They also have the 3 stage Gran Centurion Stage and Gran Centurion Stud races for those wanting to have a full tour riding experience, which will offer 3 days of variety and competition. Centurion Quad Challenge a 4 person team competing Friday night in the Time Trial and Saturday in the C50 road ride. Or you can do the Time Trial on Friday, C50 or C100 on Saturday and then the C25 on Sunday. Having the big rides on Saturday allows for fun post-race night in the village at Blue Mountain including a concert and dinners. Holder, Ed Veal and World UCI Masters 45+ Champion, Bruce Bird. The Prospera Valley GranFondo has routes of 160km (100mi), Medio Fondo 100km, and Presto Fondo 50km. Choose your Century and take part in the largest mass-participation cycling event in the Fraser Valley of BC! This 100km route may be shorter in size of its big brother, but it is just as good! Cyclists depart Fort Langley and head south along Langley’s country roads, along Zero Avenue and begin their journey back to Fort Langley along the mighty Fraser River and through Glen Valley. The MedioFondo is a ride designed to inspire and challenge novice to intermediate cyclists. This 50km route is a great introduction to participating in a mass cycling event. Cyclists depart Fort Langley and head south along Langley’s country roads. The course is predominantly flat with just enough hills to challenge you through the scenic route of Langley. Traffic control and great signage guide you along the way to make your ride safe and enjoyable. The PrestoFondo is designed to inspire and challenge novice cyclists of all ages. The 3rd edition of Gran Fondo Baie Sainte-Marie, Nova Scotia's first Gran Fondo, will be held on Sunday, September 24th. Phenomenal growth has quickly seen the event rise to become one of the largest cycling events in Atlantic Canada, with nearly 1,000 riders. 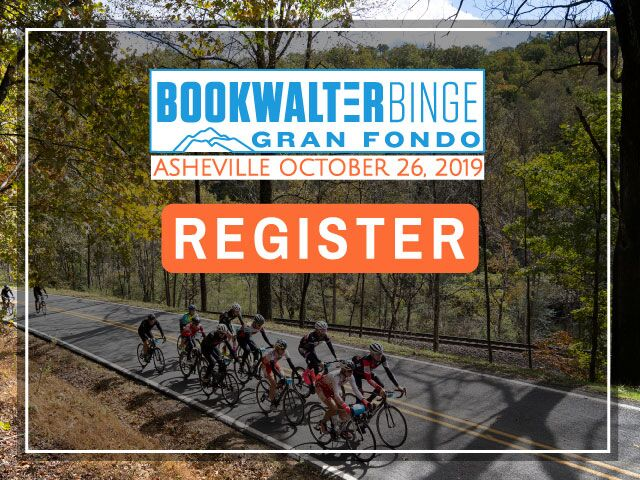 The Gran Fondo will appeal to recreational riders looking for an epic and fun ride, to those that like to tour by bike, and also to the avid racer. The WHOLE community will roll out the welcome mat, with many residents cheering from the roadside. Gran Fondo Baie Sainte-Marie offers four rides in 2017. New for 2017, is a 161 km (100 mile) Super Gran Fondo suited to the very experienced and the hard-core cyclist. Experienced riders will be challenged by our slightly lengthened 120 km Gran Fondo or the 67 km Medio Fondo, while novice cyclists may prefer the shorter 35 km Piccolo Fondo. Riders will navigate rolling inland roads and pass by towering wooden churches along the panoramic coastal route that hugs beautiful Baie Sainte-Marie. The scenery, community atmosphere and support is to be experienced! The Gran Fondo Baie Sainte-Marie is fast becoming a “Must-Do Bucket List Ride” for cyclists from all over North America and beyond. Be sure to sign up early (by July 31) to receive an event jersey. 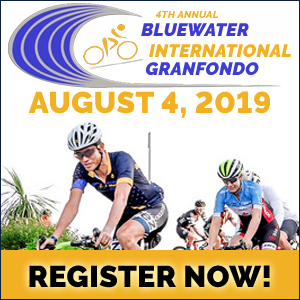 Due to the overwhelming success of its inaugural event organizers of last year’s sold-out Bluewater International Granfondo in Sarnia Ontario are expanding entries to 750 participants for this second edition. On August 6th the Granfondo starts and finishes along the shores of Lake Huron at Mike Weir Park and is part personal challenge and part serious competition. 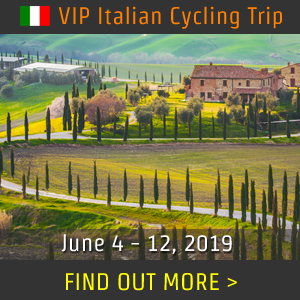 All riders will receive a Giordana Italian Cycling Jersey and will have three routes to choose from 50K, 100K, and 150K each with its own start time specifically designed to avoid mass start anxiety and allow riders of all routes to be able to finish within a reasonable time of each other. There will be no start to finish time given as in traditional racing formats but rather timed sections that count toward the rider’s competition time. This format allows competitive juices to flow during the timed sections but also allows for regrouping and riding one’s own comfortable pace between timed sections. At the finish participants and their family will relax to live music courtesy of Offsite Impact, Lambton County’s finest 6piece Rock and Roll band, while enjoying a well deserved hot meal and beverage with the option of a refreshing swim in Lake Huron. It is a must do for both cycling enthusiasts and first timers. Similar to last year’s ride proceeds from the 2017 Bluewater International Granfondo will support the continuing education of palliative care staff in Sarnia Lambton and throughout our Local Health Integration Network (LHIN). New this year a portion of the funding will be used to host a 2-day conference in Lambton County where participants will hear from world-renowned speakers in the field of palliative care. “Giordana cycling jerseys and finishing medals for all entrants, fuelling stations along the way, a post-ride party with live music by Offsite Impact Band, a hot meal, and the course itself, are among the reasons why our Granfondo has proved so popular”, said MacAlpine, Bluewater International Granfondo Chairman and Sarnia cyclist. “Last years tremendous response from both riders and the community encouraged us to follow up with the 2nd annual” said Jon Palumbo Granfondo Vice Chair and Chair of Bluewater Health Foundation. “More than a tourism draw, the event has inspired a new generation of cyclists in the community” said Anita Trusler, a host committee member and health promotion supervisor with Lambton Public Health. Early bird entry ends May 31st. We hope you enjoyed our list of top Gran Fondos in Canada for 2017. For details of dozens of more Gran Fondos, Centuries, Gravel Grinders, Charity and Leisure rides and cycling Festivals across Canada, please visit our growing 2017 Canadian Gran Fondo Calendar.